Barrie and Rockliff, Londres, 1968. Two volumes with sanskrits texts. 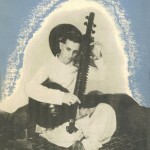 Reprinted under the title The Ragas of Northern Indian Music. One volume without sanskrit texts, in collaboration with the Institut International d’Etudes Comparatives de la Musique, Berlin. Réimprimé par Munshiram Manoharlal, New Dehli, 1980.